Yellow Gold Wedding Ring Designer Pattern Carmen. 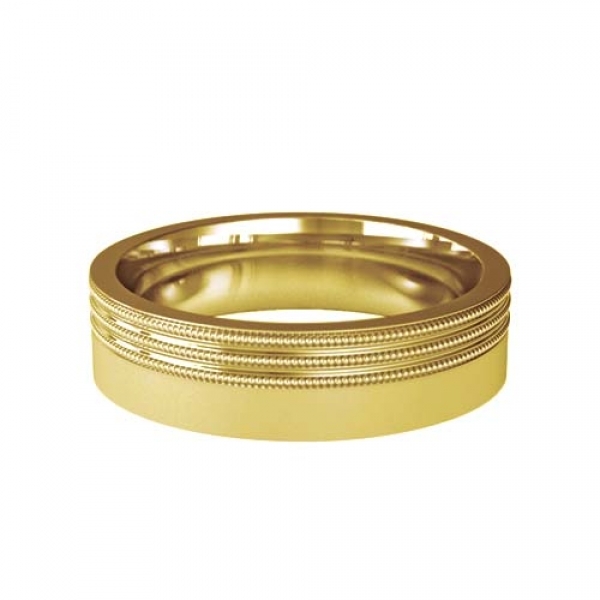 4 to 6mm wide Carmen Patterned Flat Court Wedding Ring. The three rows of millgrain detail to one edge of this ring are separated by two fine "V" grooves, accentuated by the matt finish of the rest of the band.